It's Chinese New Year. We're at Estancia, and no, we're not going to have tikoy for dessert! 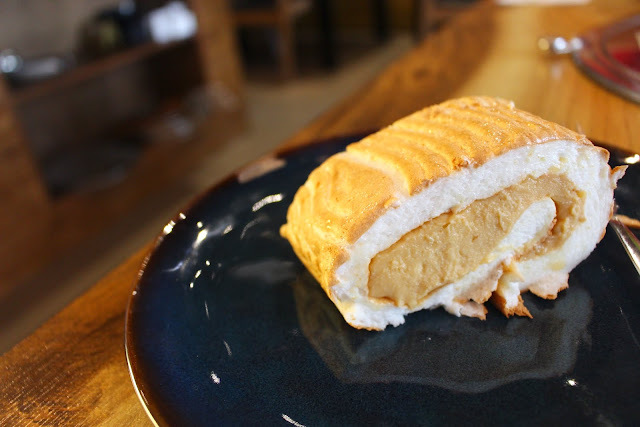 Brazo de Mercedes just got even more exciting as La Brazorria de lasevil joins the salted egg craze with its very own salted egg Brazo de mercedes. One long roll costs P750, and is good for 8-10 people. The outer "crust" looks and tastes the same as the usual brazo de mercedes. The core is where the surprise lies because it's salted egg. It might sound weird, since it's something unusual for a dessert, but it actually worked for me. The salted egg was able to complement the blandness of the egg whites in the cake's crust. The texture of the core was a bit tongue numbing, so a slice of the cake was more than enough for me. 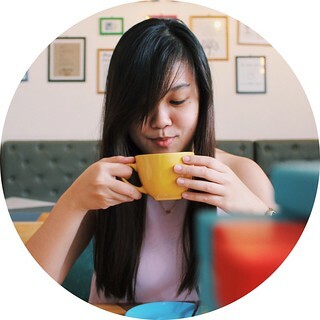 Thanks for sharing the goodness of the salted egg brazo de mercedes with us.